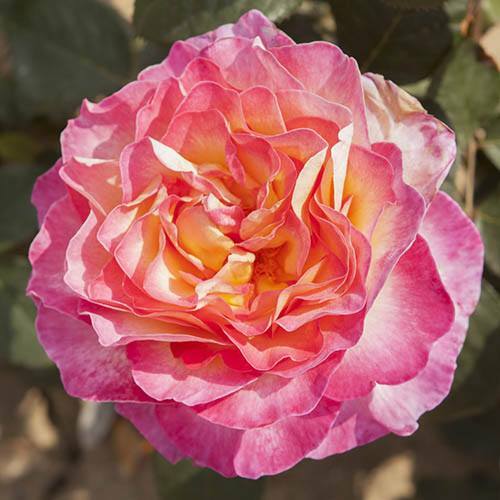 Known as a 'Hybrid Tea' each strong stem produces one extra large bloom lasting for up to 2 weeks - perfect for cutting! Blooms are fully double and up to 15cm across. Petals have shdes of cream pink and yellow giving a delightful multi coloured effect. Grows stronly with glossy exceptionally healthy dark green foliage meaning theres no need for sprays.